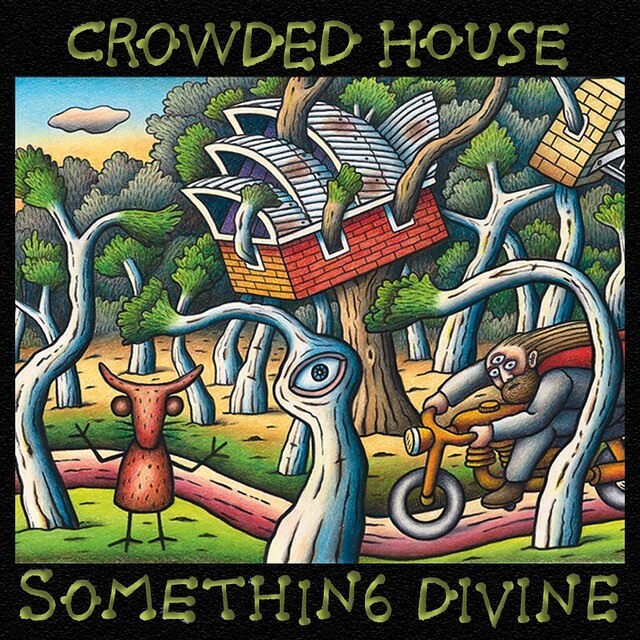 What's everyone's thoughts on the 'Lost Fifth' album of Crowded House which would have been released some time after 1994. Has anyone made their own version using rarities? Do you have an order? Which tracks would be the singles? I'd love to find out! The album that would have been made after Together Alone but wasn't completed/made. I have, but I'm not at home and don't have the iPod it's on with me. I'll try to remember to dig it out sometime and get back to you. I don’t get the question. It’s confusing because they released Afterglow after TA, and then of course two more albums later. I don't find it confusing at all. Afterglow was a "leftovers" album released after they broke up, some of which is post-TA, plus other material from that period exists. An "album" could be made from that material (and a pretty good one at that). The other two came years later after they reformed. Thanks for explaining, but the subtlety of the question was not implicit to me. I was unsure if the OP even knew there were albums after TA. I know they recorded a few demos with Peter Jones (ie Help Is Coming) but I didn’t know there was enough for a whole album. Are you counting the tracks with Paul recorded for Recurring Dream as well? B sides from Try Whistling This that were originally conceived as CH songs (ie Tokyo)? The parameters still aren’t very clear to me. Let me rephrase the question. If you were to create a 'Lost Fifth' track listing using demos, Recurring Dream tracks, B sides, rarities ect, what songs would you pick from that period of the band? Do we know which songs from 'TWT" as well as the Afterglow demos, etc were actually considered for a new CH album? I hadn't heard "Tokyo" was considered for CH? any others? I assume many TWT songs, as well as Finn songs and others written after "TA" could have been new CH songs. Neil's often says he just writes and then decides where the songs should end up. I'd love to see a list. The lost 5th album was also raised in the topic thread below. Tokyo would fit pretty well onto that track list too, making it a 10 track album.... I wasn't aware it was originally penned with CH in mind. I would love to hear a Crowdies version, but I'm not aware of them actually recording a version. Different order, but mine are basically the same as Camus'. Used the studio demo of Stairs and the rough mix of Loose tongue. Some have suggested that Astro was considered, but seems like Jaffa or someone shot that down. Have not heard it suggested that Tokyo was considered. I don’t know if Tokyo was ever officially considered or rehearsed by Crowded House, but I recall reading that it was written during the band’s tenure. Astro was kicking around at that stage, it was performed at a Finn concert in 1995/6 it's in one of the fan club CDs. Listening to the stuff recorded at the time there was some cracking material. I am quite fond of my lost CH album, which I call Something Divine. I chose to imagine a word where some new songs are being worked on at the same time that outtakes from TA are being considered and that Paul is still a member of the band. I can tastify that Painaporos album Something Divine is one of the best albums CH (never) released. Painãporo do you have a link of any description to "This is massive" as I can't find it. If you mean "My Time is Now", it's by Largest Living Things and is available on Other Enz: Split Enz and Beyond. I've made a playlist that could have been released in 1996 or so, it utiilizes a couple of outtakes from Together Alone, though. (And they do sound ever-so-slightly out of place.) But it's a great album full of fantastic mid-nineties rock. I actually really, really really like it and I think I would have just loved in 1996, which was right when I was getting into all things Finn. I even think it might have been a big international hit, it sounds so "of the times." Depending on my mood I might add either "Loose Tongue" or "My Time Is Now." SOOOO much good music from that time frame! Sad they called it quits in what seems in retrospect to be a very creative time for Neil. But at least this stuff is "out" and we can enjoy it, shuffle it around and create interesting playlists and "what ifs". Another thought just came to me, "Walk Tall" was from that period. Though it was a live cut, would have been interesting to see it developed and see what would have happened in the studio. Could have fit well on the "lost album". I totally agree. 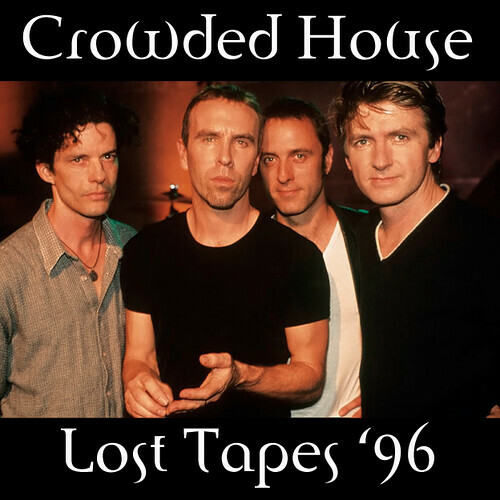 My "Crowded House 96 " is my favorite Crowded House record after Together Alone.